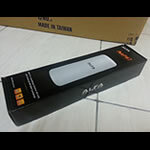 The AC1200R is the high speed 1200Mbps Wide-Range Wi-Fi Router with 4 high gain 2.4GHz+5GHz dual band antennas, give the best & strongest coverage of other router in the market. 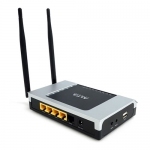 With 4 gigabit networking ports, you can also connect your Smart TV, gaming console, PC, or other networking devices at blazing fast wired connection speeds. 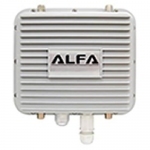 With enough bandwidth to handle high level activity on multiple devices, buffering videos and lagging downloads are a thing of the past. 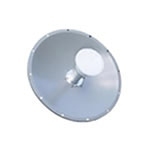 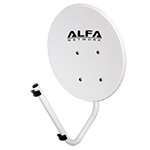 Alfa APA-M25 is a new dual band 5.8 & 2.4 GHz high gain directional indoor panel antenna with RP-SMA connector (compare to Asus WL-ANT-157). 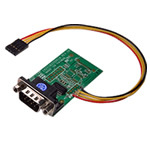 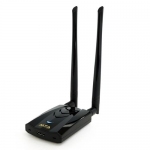 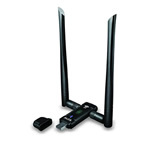 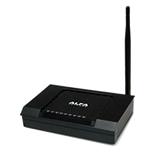 It can be used with any dual band Wi-Fi receiver or router/AP that has an RP-SMA port. 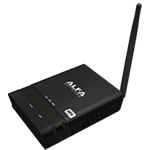 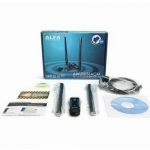 It is compatible with the latest 802.11ac Wi-Fi equipment, including the AWUS036AC & AWUS051NHA model from Alfa. 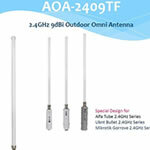 This antenna works with both the 2.4 and the 5 Ghz Wi-Fi band. 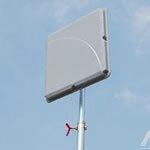 ALR06 is a Lightning Protector that has the lowest price with the highest quality and extreme value in the industry. 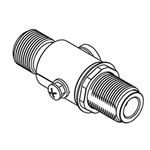 The protector provides a protection from 0 to 6 GHz with N-Female to N-Male connector. 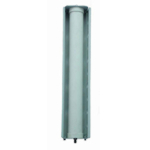 It's high quality body material is a 100% nickel plated brass that is unlike the common aluminum body material protection devices in the market. 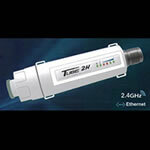 It normal protects ships with 90 V DC breakdown voltage which are more than sufficient for wireless installations. 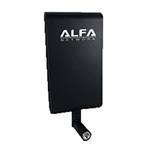 ALR62NF is a Lightning Protector that has the lowest price with the highest quality and extreme value in the industry. 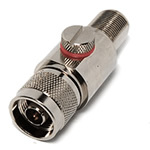 The protector provides a protection from 0 to 6 GHz with N-Female to N-Female connector. 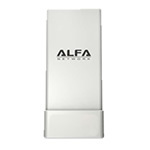 It's high quality body material is a 100% nickel plated brass that is unlike the common aluminum body material protection devices in the market. 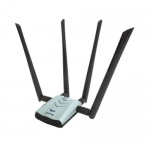 It normal protects ships with 90 V DC breakdown voltage which are more than sufficient for wireless LAN installations.